Annapolis, MD— May 23, 2018— Specialists in International Law on Latin America and the Caribbean, S.C. – SILLAC announced the immediate availability of SILLAC Safety Data Sheet Management Plan, which includes SDS Authoring, Management, Distribution, Hazard Communication, and Chemicals Regulatory Consulting which will boost Chemical Management Compliance in Latin America and The Caribbean. This is an empowering move because it allows regional and international industries to comply in a cost-effective manner with national and international laws, regulations, and standards, including the Globally Harmonized System of Classification and Labelling of Chemicals (GHS). Through SILLAC, all industries in Mexico, Central America, South America and the Caribbean are served and granted access to SILLAC comprehensive plans for Safety Data Sheets that include Authoring, Management, and Distribution at a sensible cost. In this way, mid to large sized companies and businesses can economically comply with jurisdictional mandatory provisions governing regional and international Environmental, Health & Safety (EH&S) and GHS. “Today, more than ever, it pleases me to repeat our first mission statement—To let our clients know what they must do to be in compliance with the regulatory framework of Latin America and the Caribbean. I am eager to serve all businesses while helping them achieve compliance with the applicable regulatory framework,” said R. Leticia Cuevas, Chief Executive Director at Specialists in International Law on Latin America and the Caribbean, S.C.- SILLAC in Annapolis, Maryland. SILLAC has begun to contact potential customers who have made inquiries on Safety Data Sheets (SDS) authoring, labeling, management and distribution of their products manufactured in Peru, Colombia, and Mexico. 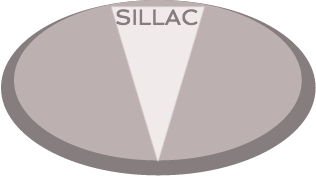 The SILLAC Safety Data Sheet Management Plan, which includes SDS Authoring, Management, Distribution, Hazard Communication, and Chemicals Regulatory Consulting.will enable such businesses to manage their raw materials and chemicals with best business practices and to export their products globally without the fear of expired or incorrect SDS or labeling. In today’s regulatory landscape, there are very high costs to non-compliance and liability, business leaders must take an active role to significantly reduce these risks. SILLAC has grown considerably since it was founded in 2000 when its goals were to analyze sociolegal issues; propose solutions for non-compliance and omissions in laws or the lack of legislative measures; and strive to find ways of helping societies and governments. SILLAC inaugurated the firm with an International Law Conference on “The Future of Alternate Dispute Resolution in International Trade in Latin America and the Caribbean,” held in Mexico City on September 8, 2000. Among the invited speakers was Carlos Loperena R., a renowned expert from the prestigious school of law, Escuela Libre de Derecho, who presented a “Panorama of Trade Arbitration in Mexico” (Panorama del Arbitraje Comercial en Mexico). Today, R. Leticia Cuevas, Chief Executive Director, leads Chemical Management Compliance and together with seven international and environmental lawyers, who have been part of SILLAC since 2014, provide the most current, accurate data for clients who depend on precise regional information. Specialists in International Law on Latin America and the Caribbean, S.C.- SILLAC are either registered trademarks or trademarks of Specialists in International Law on Latin America and the Caribbean, S.C.- SILLAC in the United States and/or other countries.